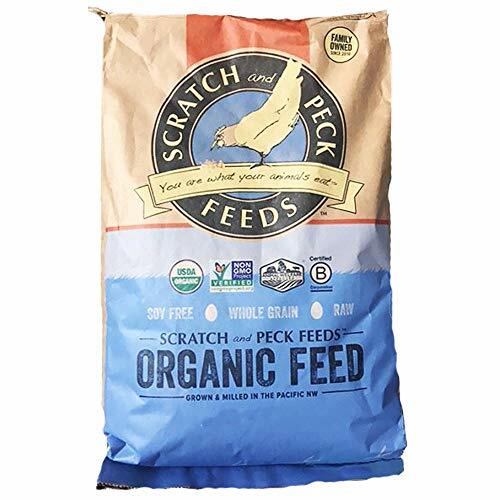 Scratch and Peck Naturally Free Layer is Soy and Corn Free, Non-GMO Project Verified, and made using Certified Organic, whole grains. This Naturally Free Layer feed is a minimum of 16% protein and has been professionally formulated to provide a perfectly balanced nutritious diet for your hens. Feed from 20 weeks of age on. Always offer plenty of fresh water and the appropriate size free choice Grit! This product is suitable for use with waterfowl. *New minimal packaging helps take care of our people and the planet!